For over 17 years, Conde Nast has rated the magical island of Maui as the “Best Island in the World.” This is no coincidence; it’s the truth! When on vacation in Maui, it is impossible not to notice all of the beautiful aspects of the Hawaiian Islands, packaged up in the perfection of Maui. As a couple, you’ll see that there are a plethora of activities to do together. 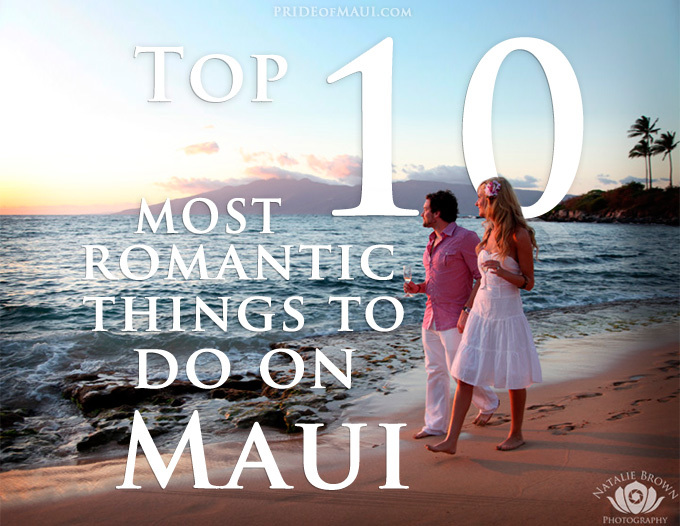 Without having previous experience traveling to Maui, how will you know what the best activities on Maui for couples are? Fear not, and eliminate the travel stress of seeking out the unknown. The goal of this article is to make it easy for you! We’ve provided our research and best activity suggestions all in one easy list. 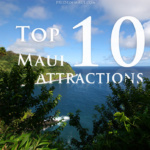 We assure you that our “Top 10 Activities on Maui For Couples,” has the most recent information, and is the best guide for choosing the perfect romantic adventure for your vacation or honeymoon. The best activity for couples in Maui is a romantic sunrise trip 10,000 feet above sea level at Mt. Haleakala’s summit. This adventure takes a bit of preplanning, but well worth it, for it will set the pace for a couples vacation of a lifetime. Whether you’re planning to pop the question, renew your love, or simply bond over the endless beauty of Maui, sunrise at Haleakala is a must do activity in Maui. Get a goods night sleep, and allow yourself ample time to get ready for your sunrise adventure in Maui. Depending on what part of the island you are coming from, it can take up to two hours to drive up to Mt. Haleakala’s sunrise peak. During the winter months, a Maui sunrise can be as late as 6:55 am, and during the summer months as early as 5:38 am. We suggest that you fill up your gas tank, and arrive at the Haleakala Visitors Center at 9,740 feet at least a half hour before sunrise. In this way, you can ensure the best vantage point, and the precious experience to watch the watercolor scenes of daybreak before the sun fills the horizon. Don’t forget your camera, grab some breakfast and a couple of strong Hawaiian coffees, and hit the road. This venture is well worth it! When journeying to a tropical sunrise, most visitors don’t think about the weather as a possible obstacle. Typically in Hawaii, the temperature drops approximately 3 degrees per thousand feet. For Mt. Haleakala’s summit, expect the temperature to be 30 degrees colder than sea-level. Make sure to bring warm clothing; shoes, pants, jackets and a cozy blanket for an early morning snuggle. Witness the beautiful island of Maui awaken to a breathtaking sunset at Mt. Haleakala. Be inspired by tropical scenes bursting with color, and the innate passion of the Hawaiian Islands. For more information on how to plan a romantic sunrise at Mt. Haleakala, visit www.nps.gov. One of the most popular activities in Maui is taking a day trip driving the historic road to Hana. Everyone loves a good road trip, and for the couples that love to challenge themselves to a fun adventure, this is a must-do activity on Maui. 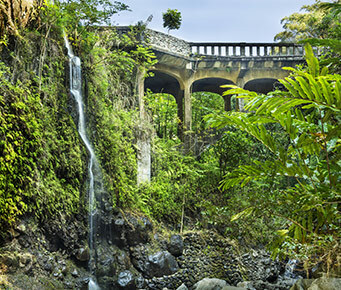 Travel over 59 historic bridges, and follow the winding road to the historic Hana village. Make sure to dedicate a whole day to this venture, or even plan on a romantic overnight camping trip at the Seven Sacred Pools in Kipahulu. On the road to Hana, you will have the rare chance to catch a glimpse of a slower Hawaii, and some of the more hidden gems of Old Maui. Jaws will drop, as you see overwhelmingly gorgeous scenes of the Pacific Ocean decorating the East Maui coastline. En route to Hana, live your Hawaiian dream of swimming under a waterfall, take a jungle hike through a bamboo forest, have a relaxing day visiting the Kahanu National Tropical Botanical Gardens, or spectate over native Hawaiian flora and fauna at the Garden of Eden. Once you reach Hana, spend a day at Wainapanapa State Park’s black sand beach, soak up the glorious Maui sunshine at Hana Bay, and book a soothing couples massage at the Travaasa Spa Hana. For those with a weak stomach, the best thing to do is be prepared with some Dramamine or homeopathic Ginger Pills. Our suggestion, have the weaker stomach behind the wheel. Focusing on the road will for sure help you, and may even alleviate this issue altogether. Have fun, and enjoy East Maui at its best! For more information about how you can plan a couples adventure on the historic Road to Hana, visit www.roadtohana.com. Hawaiian and Polynesian style luau feasts are one of the most attended activities throughout the Hawaiian Islands. Everyone must attend a luau at least once in their lifetime! Whether you love going to luau’s or are trying to figure out which one is a best fit for you and your group, no worries, there are a variety of luau’s to choose from on each island. There are so many amazing luaus to choose from on the Island of Maui. Guests will surely love being greeted with a delicious Mai Tai and a fragrant lei, as the evening festivities begin. The evening offers a beautiful opportunity to explore ancient Hawaiian culture with a traditional luau feast; Lau Lau, Kalua Pork, Squid Luau, Lomi Lomi Salmon, Poi, Hawaiian Sweet Breads, Coconut Haupia, tropical fruits, and more. 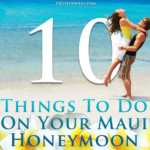 This is one of the best activities to do on Maui for couples. The highlight of the evening is always when the nightly performance begins, and all guests will be amazed by a host of fabulous Hawaiian culture presentations; the melodic sounds of ancient drumming, chanting, storytelling, Hawaiian hula, and fire dance performances. Charm and allure your loved one with a dreamy, fairy-tale-like Sunset Dinner and Cocktail Cruise with Pride of Maui. Renew, celebrate and cherish what being in love is all about. Together you will gaze upon a rapturous Maui horizon from the best vantage point ever, from the deck of the famously stable Pride of Maui vessel. Inhale the calm breezes of the Pacific Ocean, melt into each others presence, and stare deeply into the eyes of your loved one. Smile at each other with a premium cocktail in hand from the open bar, enjoy delectable island style pupus, take pleasure in Live music and entertainment, and create permanent memories as the sun sets into a devoted evening. For more information on how to reserve space for two a Pride of Maui Sunset Cocktail Cruise, visit Sunset Cruises on Maui. Treat your loved one to a Maui adventure of a lifetime. Have you ever dreamed of flying high in the clouds? Does the thought of exploring the island of Maui from a birds-eye view appeal to you? Take the ultimate challenge, bond with your loved one, and journey to the sky’s limit on a Maui Helicopter Tour. Offering a variety of specials and packages, Blue Hawaiian have successfully created the best helicopter tours in Maui. Embark on a fantastic sightseeing adventure with a couples tour of the West Maui Mountains, West Maui and Molokai, Hana and Haleakala, a Complete Island Tour, Maui Spectacular, Maui- Big Island, or a private charter tour for two. For more information on how to book an adventure in the clouds with your loved one, visit www.bluehawaiian.com. 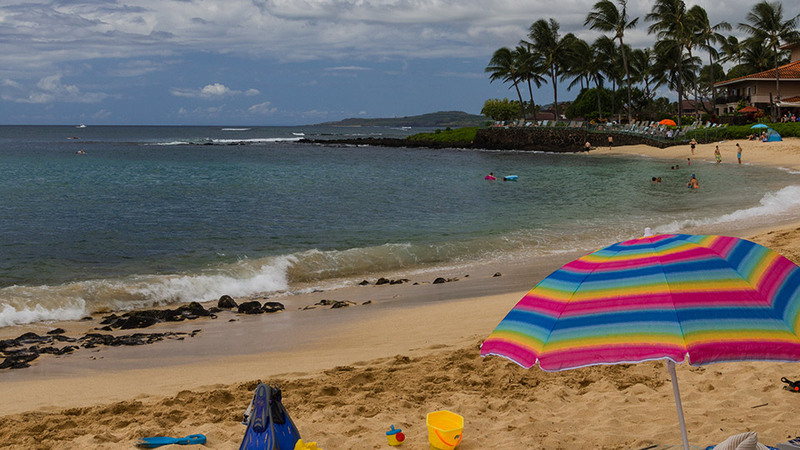 Enjoy an intimate day in the company of your loved one, make permanent memories to share with your family and friends, and allow yourself the ultimate Hawaiian souvenir with a private beach photo shoot with a Maui photographer. This is one of the top activities on Maui for couples who want to capture their vacation to treasure for a lifetime. A romantic photo shoot is a perfect excuse for a special couples vacation in Hawaii, Honeymoon in Maui, a romantic anniversary trip, or a gorgeous Maui wedding. A local professional photographer should have the education, skills, experience, and vision to introduce you and your loved one to a personal portfolio as a couple, solidifying an engaging and solid foundation for your love. For more information, visit www.nataliebrownphotography.com. One of the top activities in Hawaii is a horseback riding tour on Maui. With many options to choose from on island, you should first decide on what kind of tour you are looking. With an abundance of locations, and types of horseback ride tours on Maui to choose from, you should ask yourself some questions: Do you and your love want a privately guided tour on the hillside looking over the Pacific Ocean? Or, would you feel more comfortable in a larger group with more instruction and views of South Maui and the outer island of Kaho’olawe? From beginner to novice, a Maui horseback riding adventure is the perfect activity to enjoy island-style country living to its best. For more information and for a list of locations, options, specials and packages, visit www.mauistables.com (Kipahulu) or www.ponyexpresstours.com (Haleakala Crater). North Shore Zipline is undoubtedly one of the top activities to do on the North Shore of Maui. If you are a thrill seeker looking for an exciting yet safe escapade on Maui, and you enjoy the sweet rush of adrenaline, this is the outing for you! On this exhilarating Maui adventure, you and your loved one will soar high above the historic Upcountry region of Maui while overlooking the spectacular ocean, tree-top and Upcountry views. Imagine the thrill of zipping up to 40-mph through a crown of giant and fragrant Eucalyptus trees. Guests will experience seven different ziplines, some stretching up to 900’ and reaching heights of 70’! North Shore Zipline is designed for novice as well as experienced. Even if you have never tried Maui ziplining before, you will feel at ease with the support and instruction of their professional guides. Built above the foundations of a WWII military rest and training encampment, guests will also receive a little history lesson. You will learn about the land here, where 18,500 Marines were stationed for two years. North Shore Zipline is a great daytime adventure for couples looking for a unique challenge. We promise it will be an outdoor Maui experience that you will hold close to your heart and never forget. For more information, please visit www.nszipline.com/. What could be better than a relaxing spa day on Maui with melodic sounds of calm rolling waves, and palm trees lightly blowing in the wind in the background? Together, you will unwind, soothe travel tension, and reinvigorate your senses with fresh island ingredients, aromatherapy, and tropical healing elements. Spoil yourself to a couples massage package on Maui that will help you decompress, heal and renew your body, mind, and spirit. With your love, create exciting day trips where you can go sightseeing in Maui. Venture to the North Shore of Maui and enjoy exploring the historic sugar cane town of Paia, where you’ll find a sweet handful of island-bohemia culture. Check out world-renowned Ho’okipa Beach Park, and watch water sports professionals surf, windsurf, and kiteboard on Maui. Journey to the South side of Maui, and visit La Perouse Bay and the ancient Kings Trail. Adventure to the West Side, and be inspired by miles of tropical beaches and West Maui activities for couples. Take coastal drives during the winter months, and see awe-inspiring sights of Humpback Whales breaching in the ocean during their annual migration to the Hawaiian Islands. Create your own dream vacation on Maui by maximizing on all Maui has to offer! If you want to see Maui as it has never been seen before, check out Hike Maui for a variety of fun and exciting day trips. With a Hike Maui guide, couples can bond and explore East Maui Waterfalls and Rainforests, 4-mile hikes through the Haleakala Crater, or the ultra-valuable combination packages with kayaking, snorkeling and waterfall hikes included. For a more exclusive experience, inquire about Hike Maui’s Custom Tours, where you and your loved one can explore Maui more intimately, with your secret adventure desires created just for you. For more information about Hike Maui and their expert adventure guides, check out www.hikemaui.com. 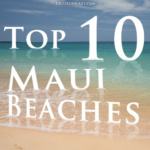 Thank you for reading the Top 10 Things To Do On Maui For Couples! 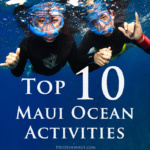 What are your favorite activities to do on Maui?